Kids Art Party Ideas with FREE Art Party Printables! 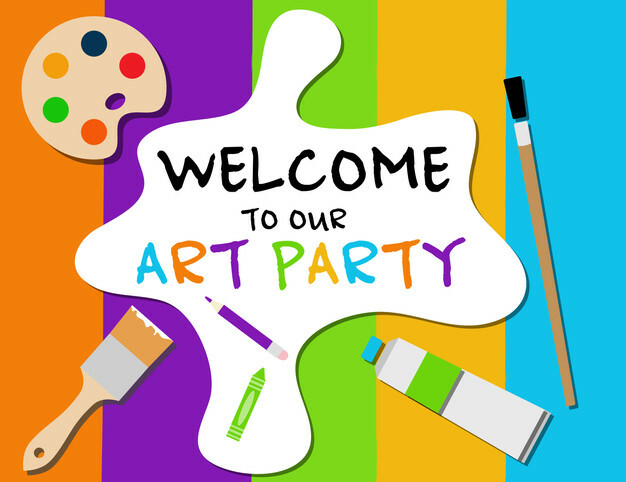 Are you in the process of creating an art party for your little artists? Facing a creative block? Well, you've come to the right place. 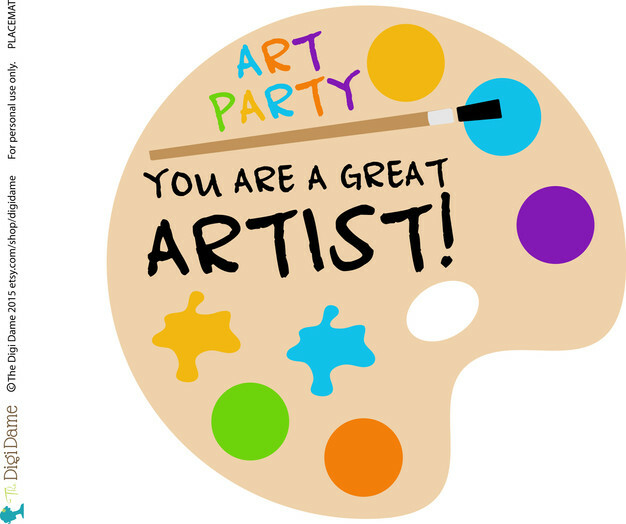 In this article we look at some fun and exciting ideas for the best DIY art party in town! The great thing about hosting an art party, is that when it comes to your colour scheme, anything goes! or you can choose to just wing it with a rainbow paint theme! 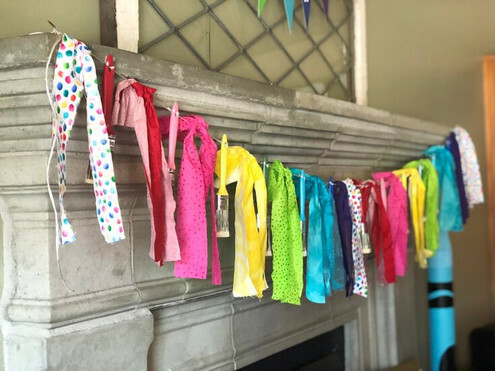 A rainbow theme will certainly give you more options when sourcing your supplies and takes the pressure off having to match everything perfectly! 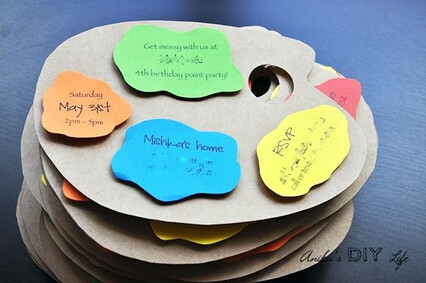 Most art party invitations and decorations you will find contain a few bright colours that work beautifully together, so you may want to build your colour scheme around those. 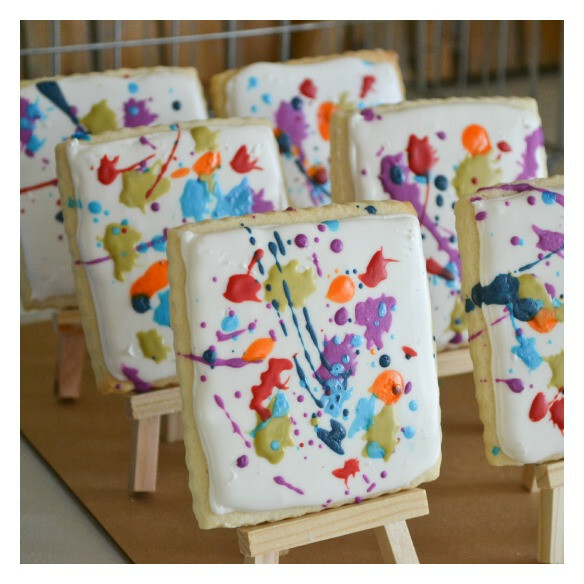 When inviting guests to your art party, you can get as creative (and a little crazy!) as you wish. 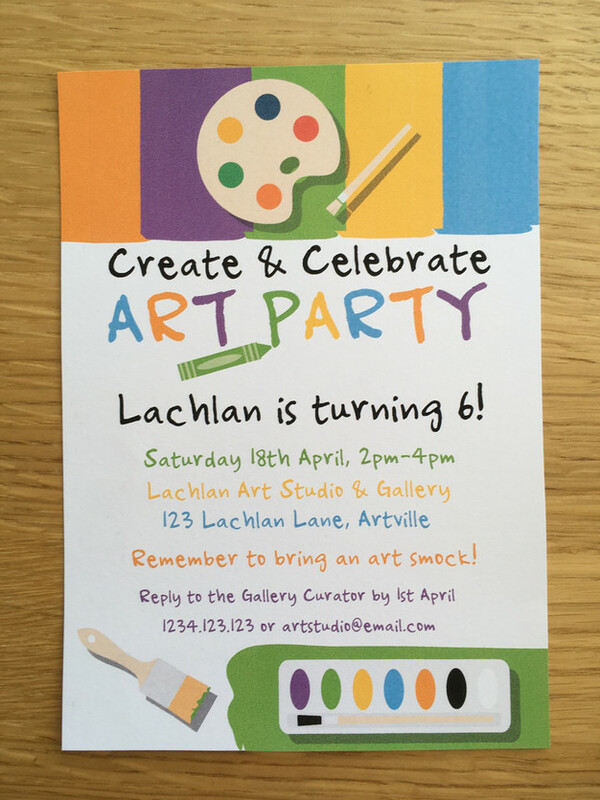 To get your little artist guests excited about coming, make your invitations bright and fun. You can purchase DIY templates, pre-printed or custom invitations. Or, if you're crafty and have the time, try making your own. This may be achieved using scrapbooking paper or brightly coloured card stock. If you have a large number of invitations to send, the quickest and most cost-effective solution will most likely be DIY printable templates for your invitations, such as those we offer at The Digi Dame Party Shoppe. These can be downloaded, then personalised by adding your own text, then printed either on your home computer or at a printer shop. 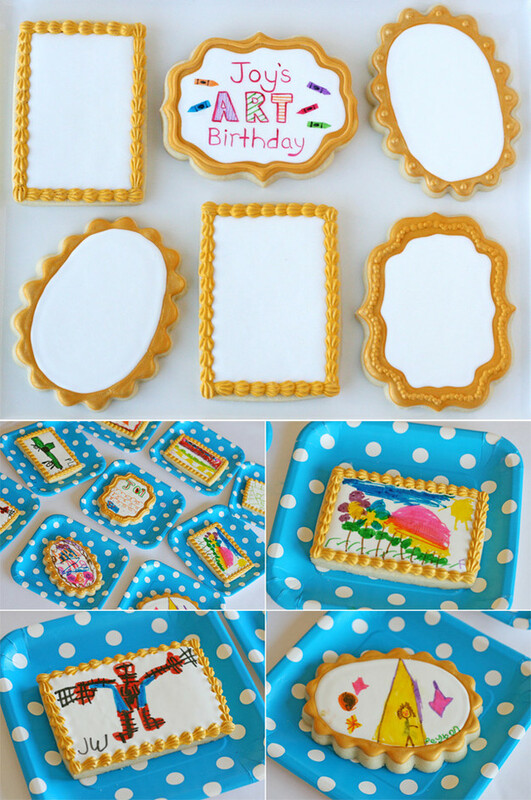 But if you would prefer to DIY and have the time, we love this great example of DIY art party invitations, as shown by Glory from Glorious Treats. 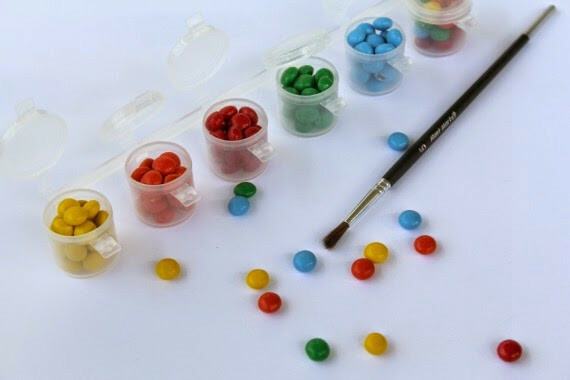 To make, purchase a watercolour paint set for each guest. Remove the label and replace it with your own design that includes your party invite! 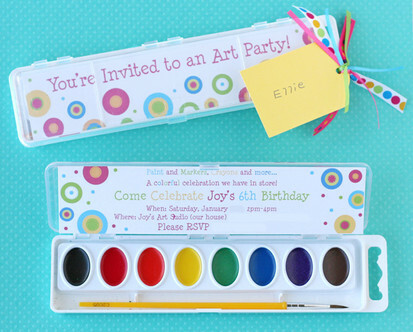 If you would like to get your little artists involved in making simple invitations, you could opt for something like the art palette idea shown in the image below, as detailed here. Another DIY invitation idea that we love is this one from Kelle Hampton. 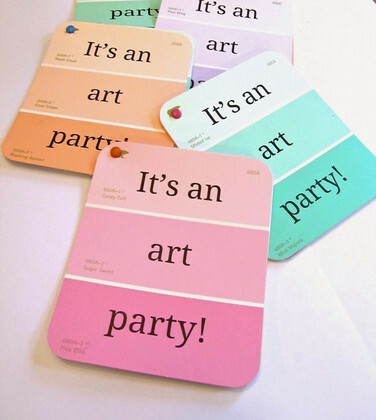 There are many affordable and easy options to consider when decorating an art party. Let's look at some ideas! If you're short for time, consider purchasing a party printables pack, such as we offer here. A party pack is a quick and easy option for party decorations, as it contains all the decorations you need to get your party started. With party printables, you download the digital files and then either print them on your home computer or take them to a professional printer - the choice is yours. If you have a bit more time on your hands, you can DIY decorations. 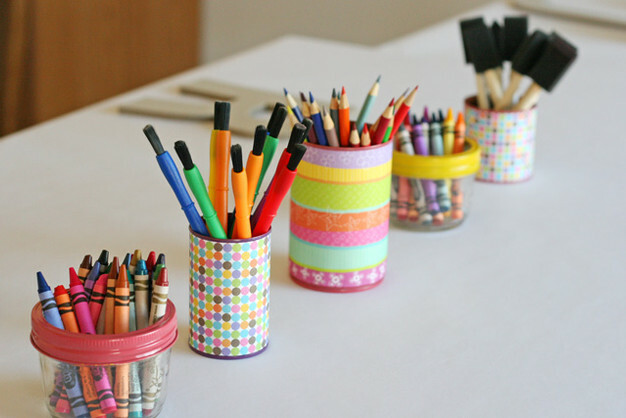 Firstly, you can easily decorate for your art party by using art and craft materials. They make great decorations, but also double as party supplies on the day! 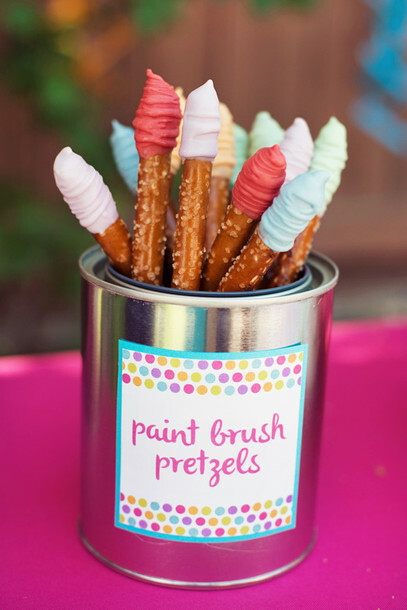 Crafts By Courtney shows how to beautifully incorporate paint cans and brushes into your party decor, in the images below. 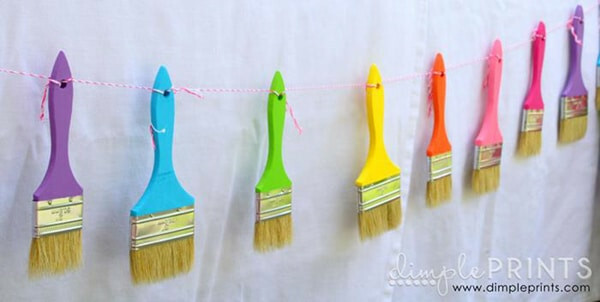 Dimple Prints uses paintbrushes to create a gorgeous party garland! 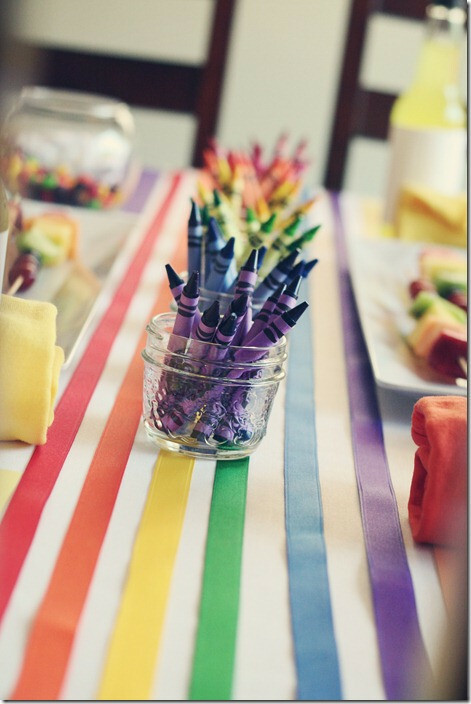 Catch My Party provides inspiration for using art materials as decoration, as shown below. 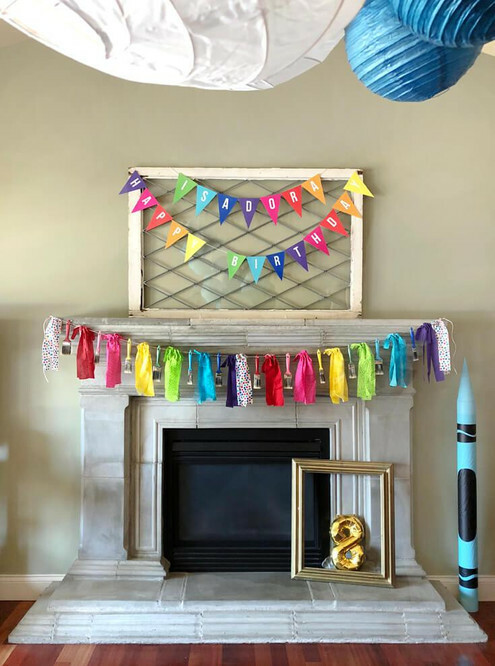 Next, you can add more interest and colour with economical party decorations such as paper lanterns, balloons, streamers, banners and backdrops. Let's look at some artistic ideas! 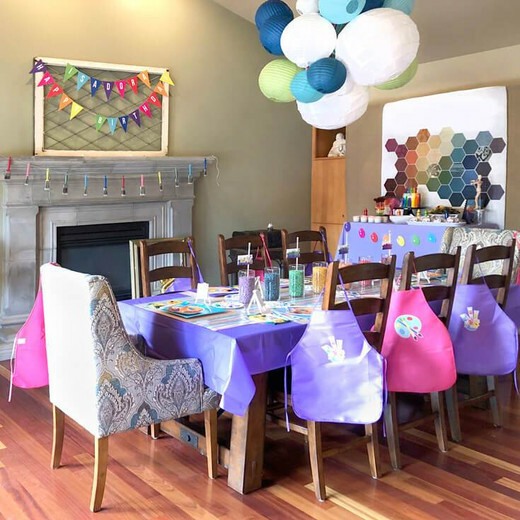 Kara's Party Ideas provides inspiration with balloons, streamers and paper lanterns, as displayed in the gallery below. 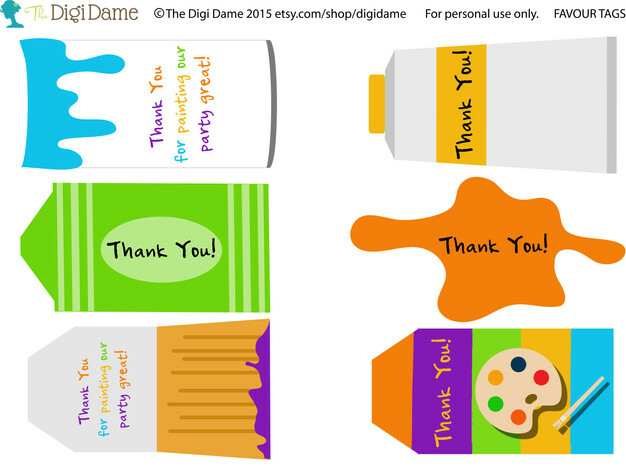 The Digi Dame Party Shoppe offers a printable party backdrop in A0 size, which you can purchase here. 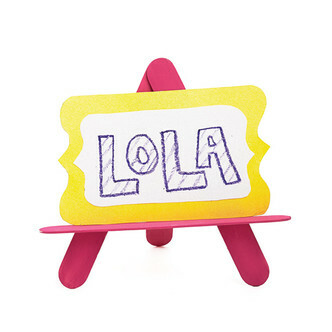 We love how Today's Parent shows us a cute way to display place cards, labels or other mini signage with these DIY easels! 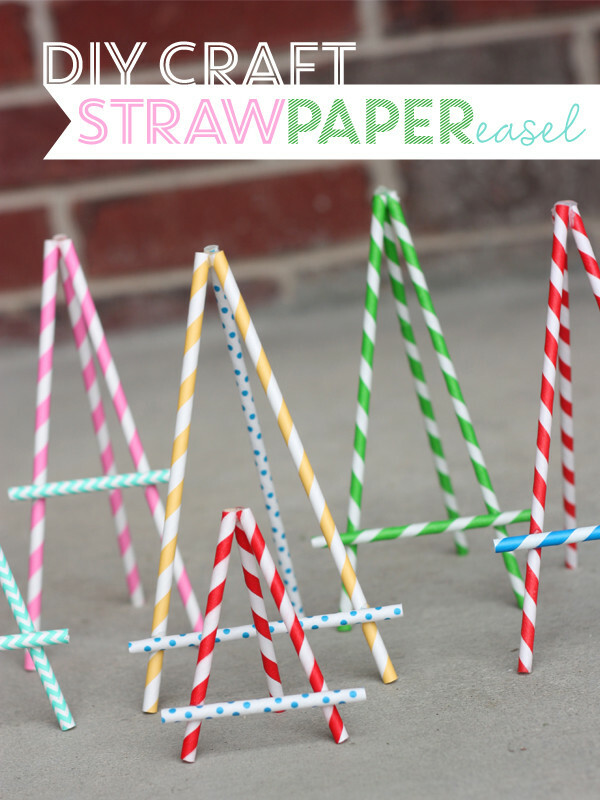 Wants and Wishes Designs provides a fantastic tutorial on creating these straw easels here. 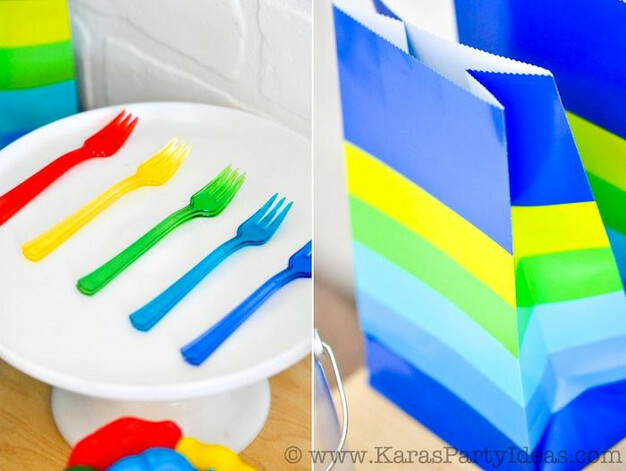 You may wish to use colourful plastic cutlery as inspired by Kara's Party Ideas. 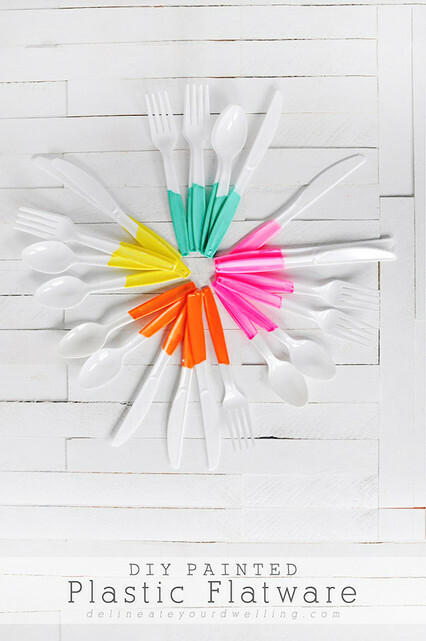 Alternatively, dip plain cutlery into colourful food-safe paint, as shown in the tutorial here. For even more colour, store food in brightly coloured paper cups or plastic bowls, or even mini buckets, as inspired by Glorious Treats. In keeping with an art theme, here are some suggestions for fun party food! The Cake. Below are some beautiful art themed cakes, as shared on Pinterest. Now let's look at other arty treats. 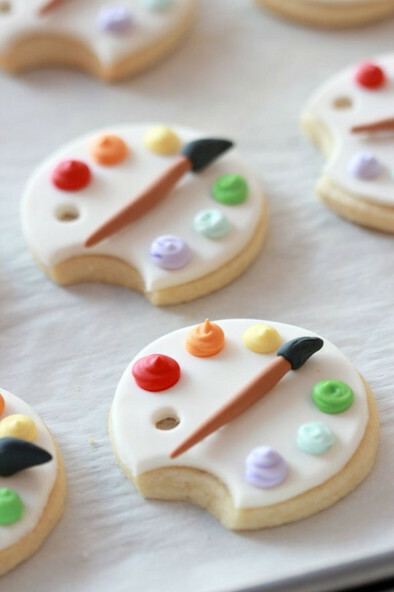 Learn how to make these cute artist's palette cookies here. Here is the tutorial for making paintbrush rice krispies, such as the ones shown below. The cutest little canvas paintings ever are here as shown in the image below. 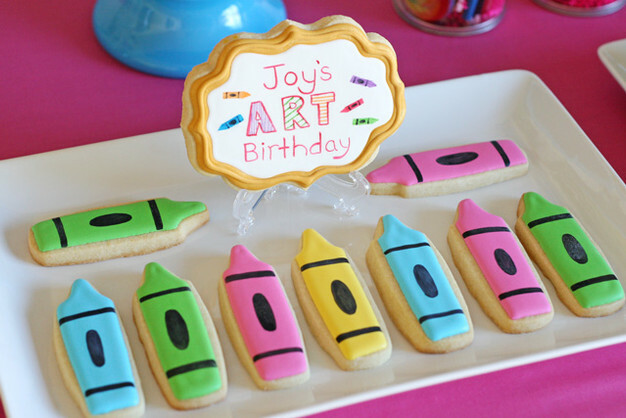 We love these crayon cookies created by Glorious Treats! You can find them here. An Art Party would not be complete without some art and craft activities. 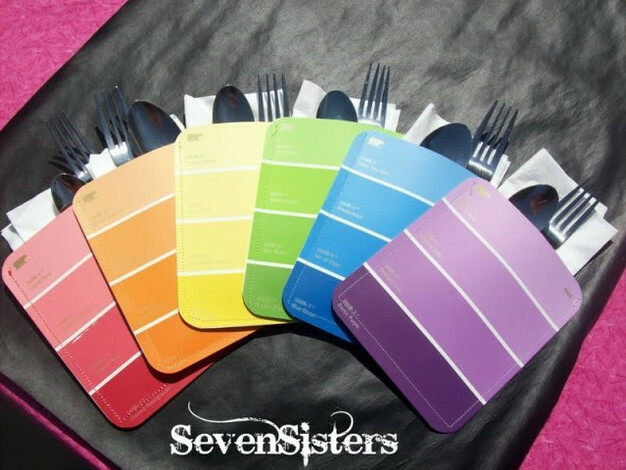 Unsure of what to plan for your creative guests? We've got you covered. The Activity Table. Let's explore some ideas on how to set up and decorate your table. Jen Loves Kev provides us with beautiful inspiration. The link to their party is here. 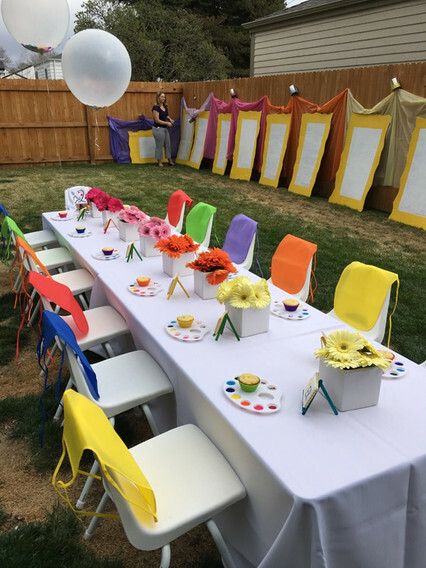 We love this colourful outdoor setup in the pic below by Pretty My Party, which is shown here. 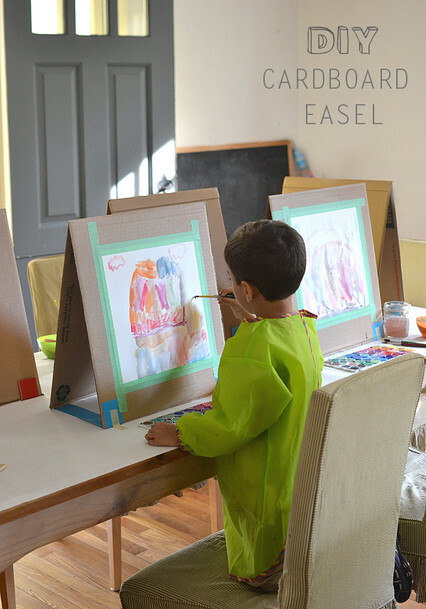 If you are prepared for a little leg work, you can create your own cardboard easels, as we are shown here. 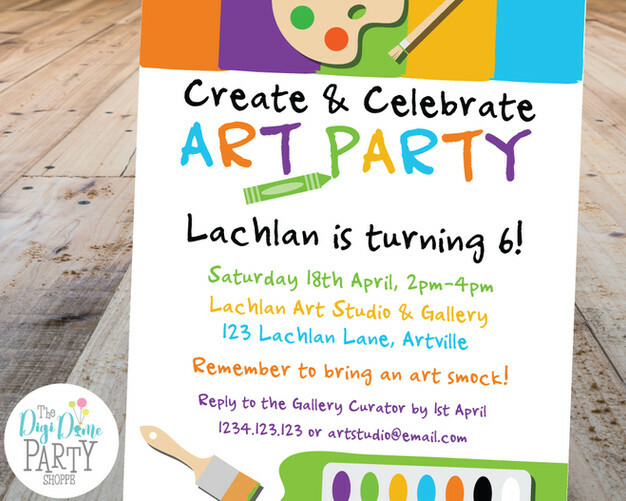 Now, let's talk about activities to keep your little Van Gogh's and Picasso's entertained and put the arty in your party! 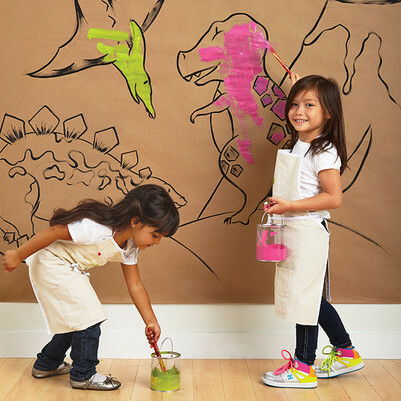 Keep them busy by creating your own painting mural, as shown below, from here. 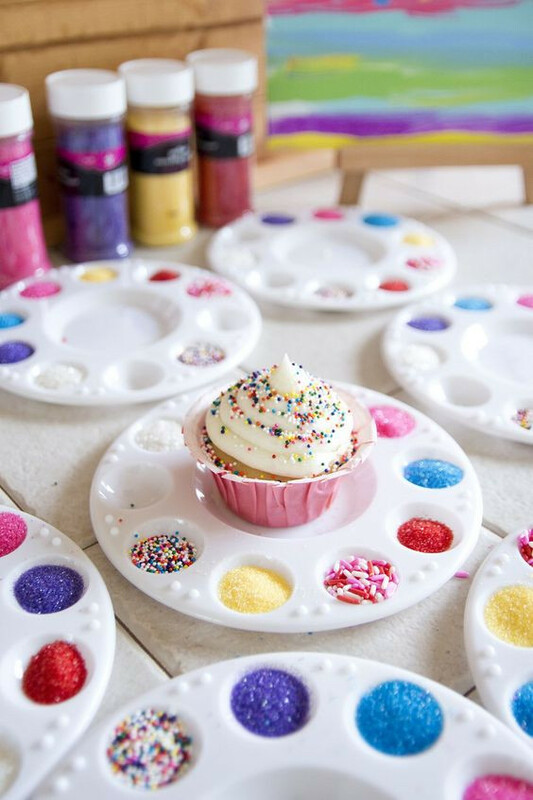 Get your guests to decorate their very own delicious masterpiece! Find the tutorial here. Alternatively, set up cupcake decorating stations for each guest. You'll find more inspiration here. 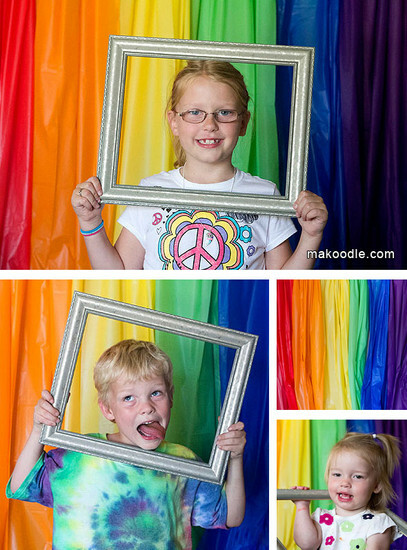 Makoodle provides another great idea - an artsy photo booth! See this idea and more right here. 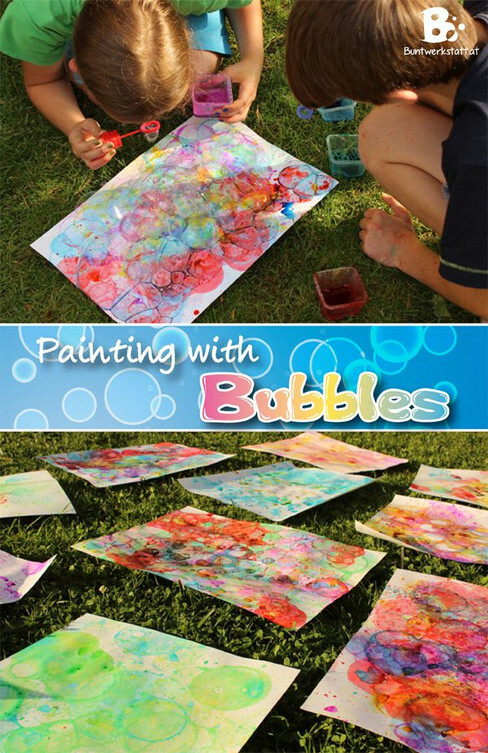 The Spruce shows us how to organise bubble painting and more at our art party. See their ideas here. 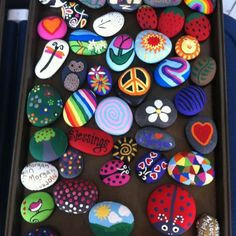 Rock painting is a great suggestion that can be found here. Now, are you ready for your FREE party printables? 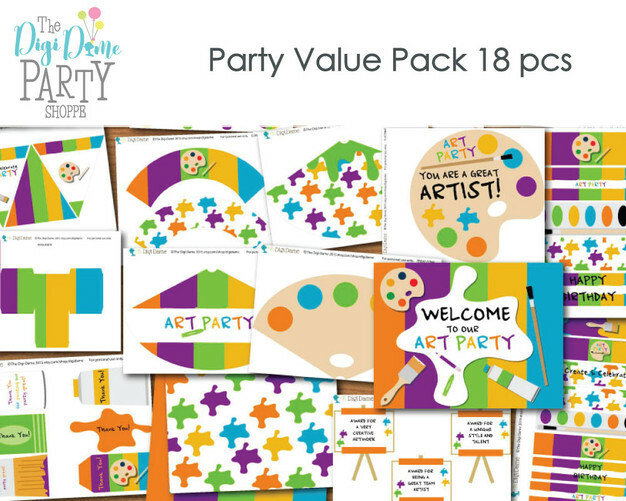 To celebrate all things arty and to get you started on creating your party plans, we're giving away samples from our Art Party Printables Pack. These printables are not editable, so all you need to do is download and print to party! Click here to download this Art Party Placemat in PDF format. The size is designed to print well on A4/Letter paper/card stock. And, here's another bonus! 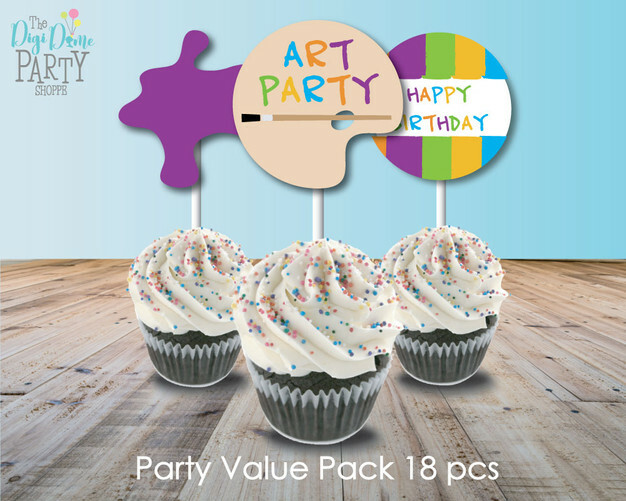 Click here to download these Art Party Favour Tags in PDF format. The size is designed to print well on A4/Letter paper/card stock. So, that's it! 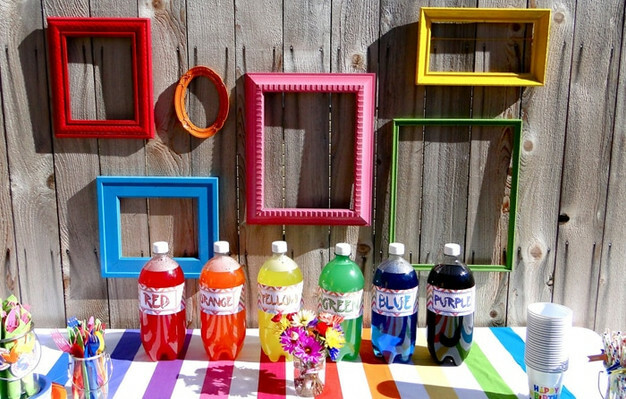 We hope you have found some inspiration from these fun examples and are now ready to plan your art party! Want some ideas for a kids' construction party theme? Click here. Want more FREE party printables? SUBSCRIBE to instantly download party printables, absolutely FREE!